Today is weed appreciation day. 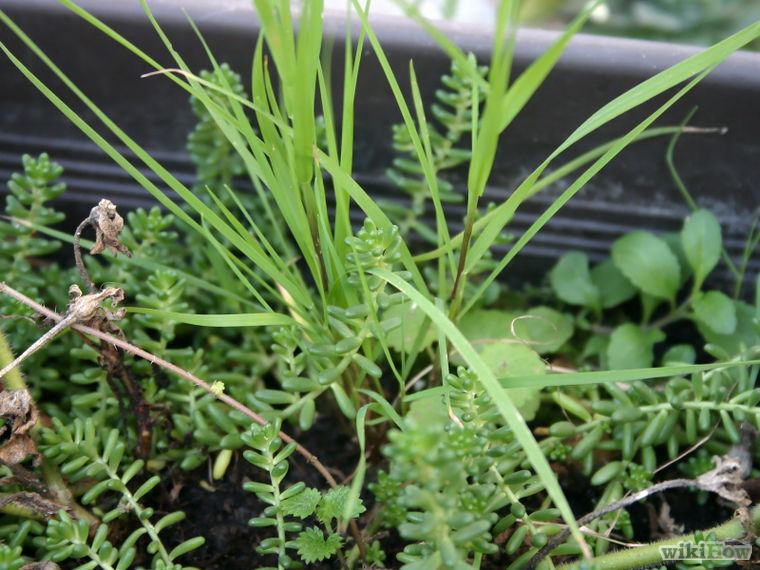 Easyshed are providing you with 8 tips to help you tackle those pesky weeds. 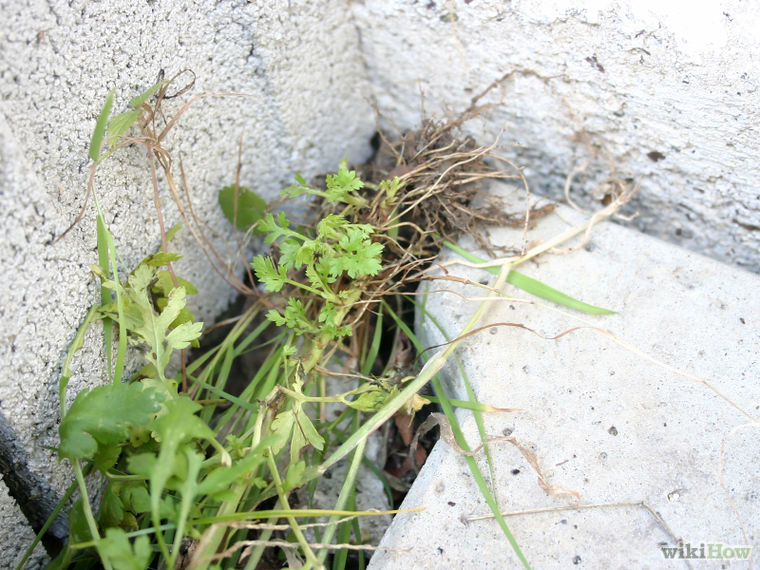 Identify the weeds you want to remove, so you do not accidentally pull beneficial or desirable plants while you work. Look at the hazards of weed pulling you should consider. Here are some dangers involved in this apparently safe activity. Beware of toxic plants, including stinging nettles, poison ivy, oak, and sumac, and plants you may be allergic to. Be aware of insects that may inhabit your garden or lawn. Spiders, bees, wasps, ants, and other potentially dangerous insects may be encountered while enjoying this activity. Watch for snakes if you live in an area they frequent. Understand your own limitations. 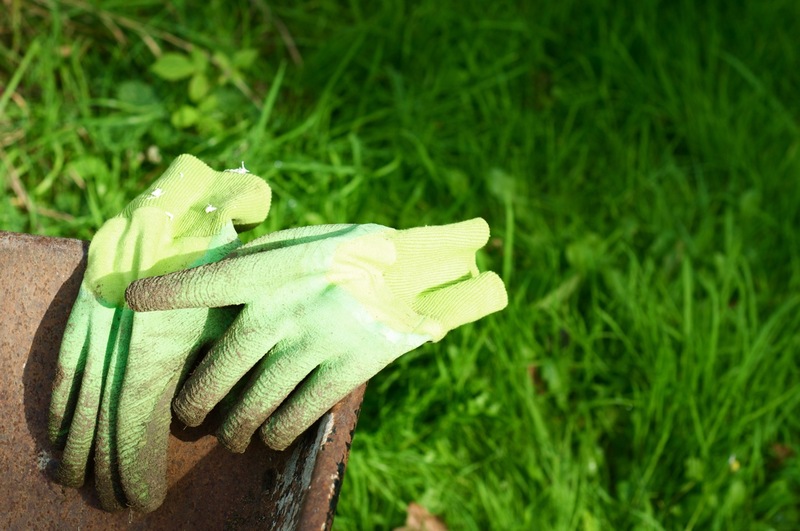 Weed-pulling can be back-breaking work, so be careful not to overdo it. Wear sunscreen and keep hydrated while you work if you are working in hot weather and/or bright sunshine. Choose the right time for the task. 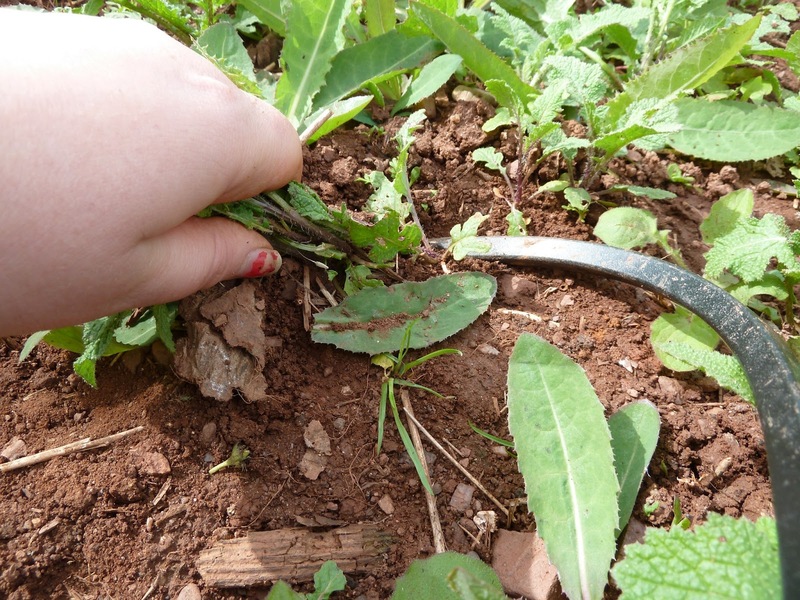 Pulling weeds is much easier when the ground is wet, so working soon after a rain will make the job easier. Get a pair of gardening gloves if you like. You may also want to get a sharp pointed gardening spade and a cushion to protect your knees while you work. 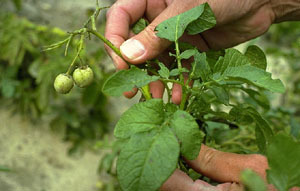 Grab the weed at the base of the main stem as far down as possible. 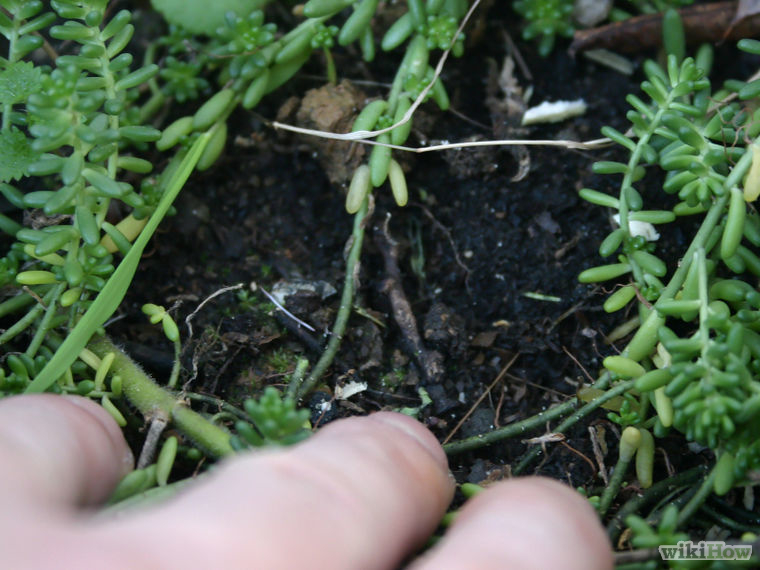 Grip the bottom of the weed tightly and pull it sharply out of the ground. Continue until you have done this with all the weeds leaving you with a weed-free garden. 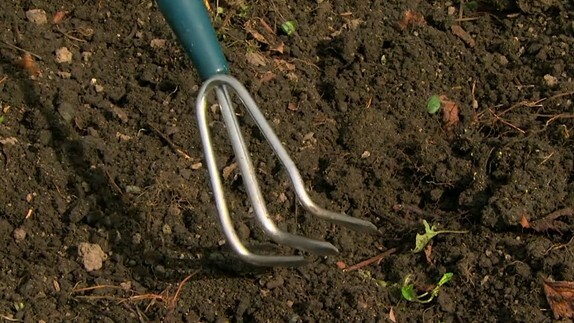 Use a pointed tool to loosen the soil around the weed’s roots if necessary, to make removing it easier. 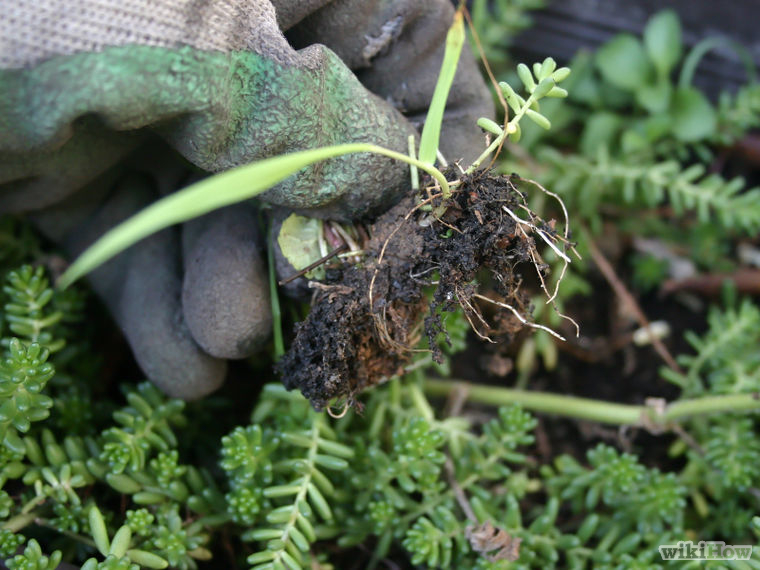 Collect the weeds and dispose of them so their seeds are not reintroduced into your lawn or garden.